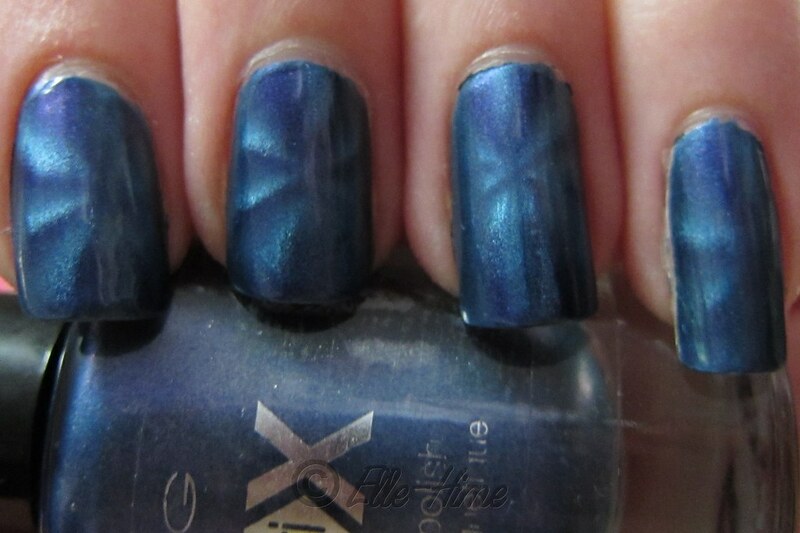 Princessly Polished: Star Sapphire Nails with Icing MagnetiX! My nails today are done in one of the colors I'm giving away! Don't worry, I used my personal bottle, not the one up for grabs! 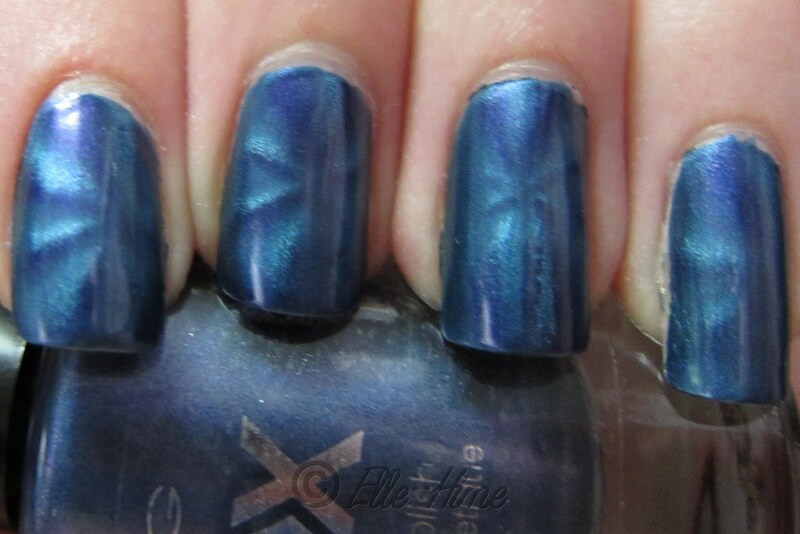 ;D This is the Blue Shimmer Icing MagnetiX polish with my star-design LCN magnet. My goal was to make nails that looked like little gleaming star sapphires. I used just one coat of Icing Blue Shimmer on each of my nails. Coverage was good and I didn't have any "dead spots" where it wasn't responding to the magnet. Of course I put on fairly think coats and worked as fast as possible - that always helps. As for the color of this polish, I feel that it is at it's best when wet and you first apply the magnet. This is when the purple tone in the deep blue shimmer polish comes out best, and contrasts perfectly with the steel blue magnetic design. Most of the time it looks sapphire blue with a bright steel blue design, which is still striking. 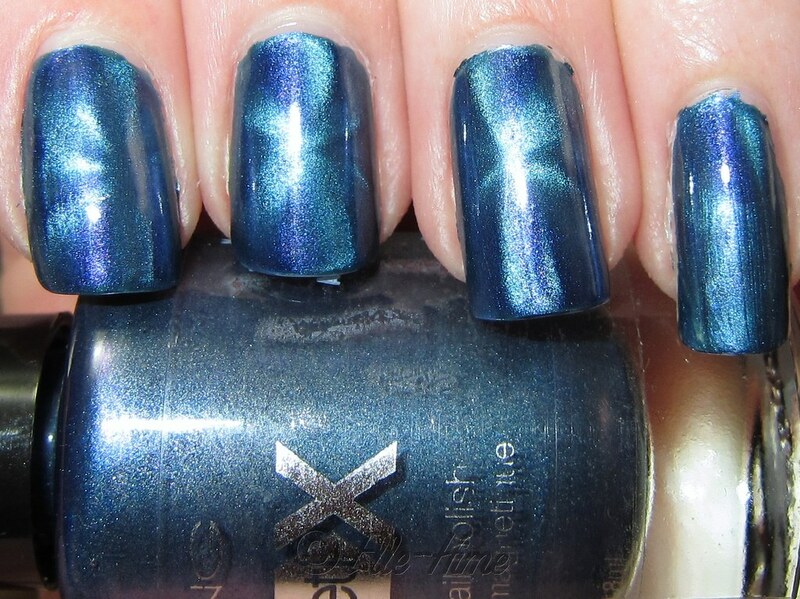 If you're a sapphire lover this polish should be your thing! And just for kicks, here are a couple out-of-focus shots with no flash! I really need to find myself a cute little tripod for picture taking. My new camera is too heavy for me to hold steady, even with my hand propped against something! Thanks for looking! So... I wish my middle finger nail would hurry up and grow back out, haha. It looks so stubby in these pictures. My fiancé said my nails were "spiffy", and I didn't even waggle them under his nose to elicit a response - he noticed them on his own, and he's been deliriously sick and out of it this week! I think that makes it a successful manicure, what do you say? Ooooo I haven't seen the star before from the magnetic polish before. I love it. Thx for posting this. You're welcome! I used the magnet from my LCN polishes for this. One of my favorites even though it doesn't come out as clearly as the more basic designs. I tried this one recently, and it showed up almost purple on me..definitely my favorite of all the magnetics out there! I got one at Meijer, probably $10 or less. I only have a dslr, so it's too front-heavy, but if you have a point and shoot this should be perfect! Wow! I can't believe how well the design showed up with this polish. 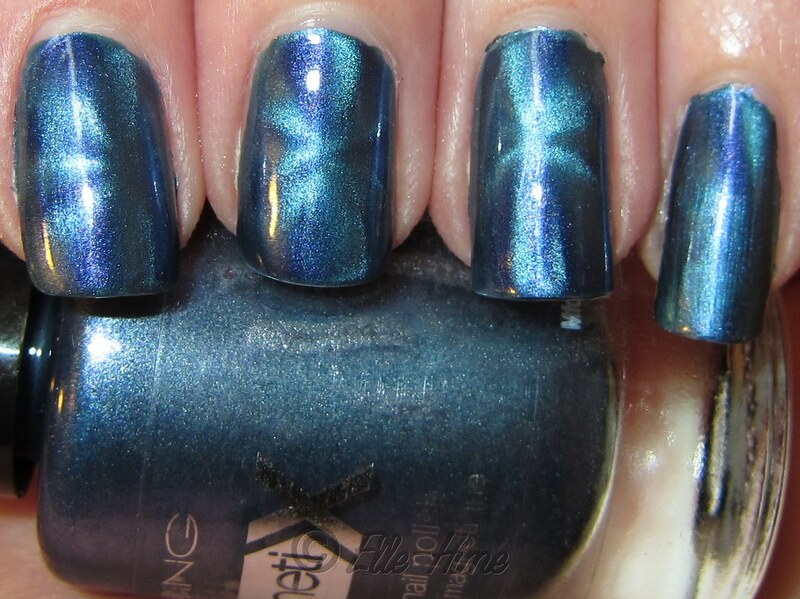 I have two of the China Glaze Magnetix and I can't get the design to show up at all. Hmm, looks like I need to hunt down this polish. you, there is a chance that you simply can still negotiate further.